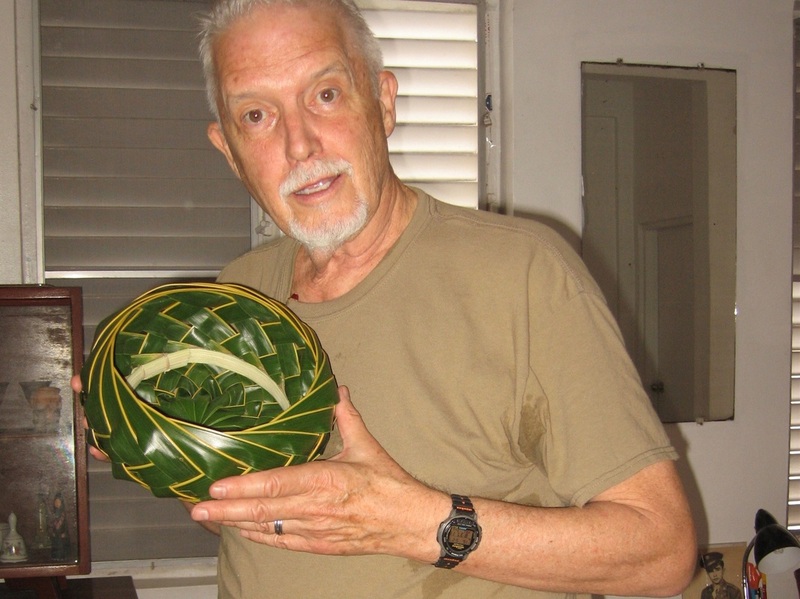 30 years ago, on a holiday trip to Hawaii, I saw an older gentleman tourist on the beach, weaving a hat from a coconut palm frond. 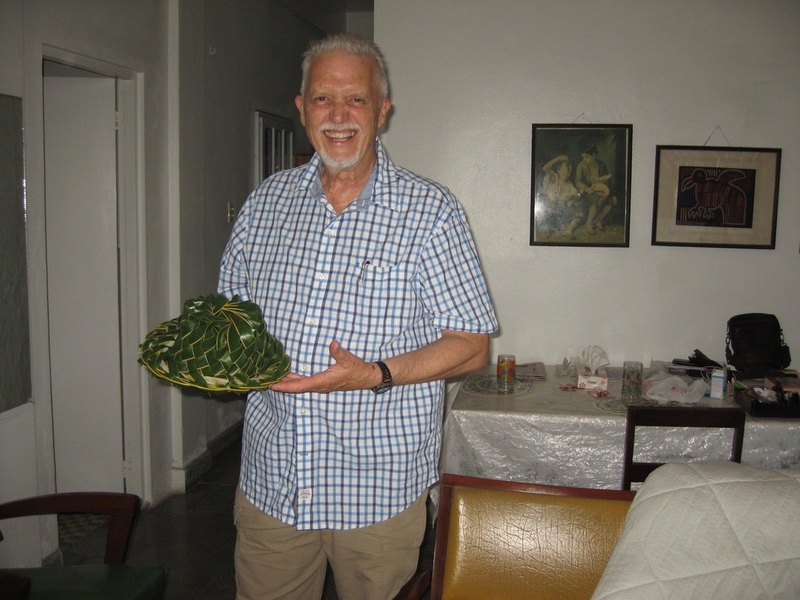 When I asked him how to do it, he spoke to me dismissively, suggesting that I read a book he had at his side, "Coconut Palm Frond Weaving" by William Goodloe. The first thing I did when I got home was buy the book (which is still in print, now at 10x the price I paid for it!) 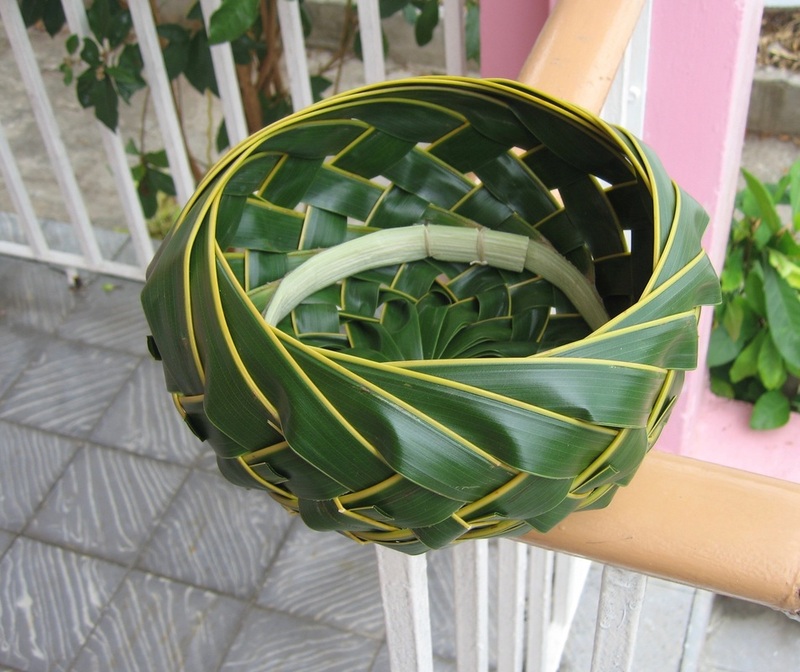 so on my next trip to a tropical environment I too could craft something useful from a coconut frond. I've since learned how to weave two styles of hats... round-crowned and flat-crowned, as well as baskets. Here's what came out of a trip to Puerto Rico last week. Hats are always a challenge, getting the size just right, as well as the height of the crown, and the width of the brim. 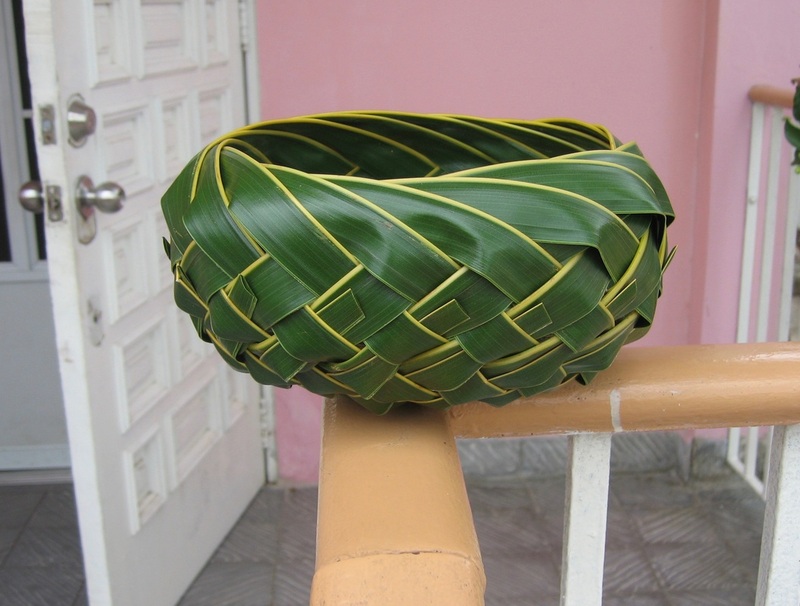 Baskets, however, can turn out just right, as did this one, with no broken riblets that you could notice, secure ties on the rim of the base, and a base coaxed into a more or less perfect circle.